TCP vs UDP -What's The Difference? TCP vs UDP -What’s The Difference? If you are just starting with TCP/IP then you are probably wondering why there are two transport layer protocols- ( TCP and UDP ). Why don’t we just have one? After all TCP seems to be the best option anyway. The aim of this short introductory tutorial is to explain the basic differences between the two and why each protocol is needed, and when they are used. Both TCP and UDP sit at the transport layer of the TCP/IP protocol stack and both use the IP protocol. Applications are designed to use one or the other protocol depending on their requirements. TCP is a connection orientated protocol with built in error recovery and re transmission. You can liken a TCP connection to a telephone connection. With a telephone connection you first need to setup the connection by dialing the number, and once the calling party answers you have a both way communications channel. You then proceed to speak and once done you hang up the connection. The TCP transport takes care of errors on the link, and the application can be confident that the data received is error free. Just as with a telephone connection while you are using a connection no one else can use it. TCP is used by application protocols that need guaranteed message delivery. HTTP,FTP, SMTP, POP3, IMAP4 and many other common Internet application protocols use TCP. UDP is a connectionless protocol. You can liken UDP to email or the normal post. With email or a written message you send your message, but have no idea whether or not that message was received. UDP does not correct or recover errors in the message. Any error detection and recovery is the responsibility of the receiving application. Because there is no connection setup, UDP is faster than TCP and results in less network traffic. In addition it doesn’t consume resources on the receiving machine as it doesn’t hold a connection open. Utility applications like DNS, DHCP, RIP and others use UDP. The use of UDP is expected to increase with IOT as sensor type data is ideal for sending via UDP vs TCP. For more details there is a very useful side by side TCP/UDP comparison . The UDP header (8 bytes) is considerably much smaller than the TCP header (20 bytes). Both the UDP and TCP header contain 16 bit source and destination Port fields. The source port field is used to reply to the message. There is a good diagram of both headers here. Both TCP and UDP protocols use ports. You can have an application running on a computer using TCP port 80 and another application using UDP port 80. IP address + protocol (TCP or UDP) + port number. Q- Can I change what protocol my application uses? A- No the choice of transport protocol is done by the application developer. 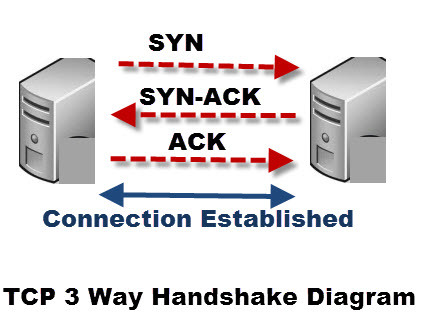 Q- Does UDP have an Handshake mechanism? Q- Are TCP ports different than UDP ports? A- Yes a machine can be communicating on UDP port 2000 and TCP port 2000 at the same time. Q- What is an ephemeral port? TCP and UDP are both transport layer protocols. 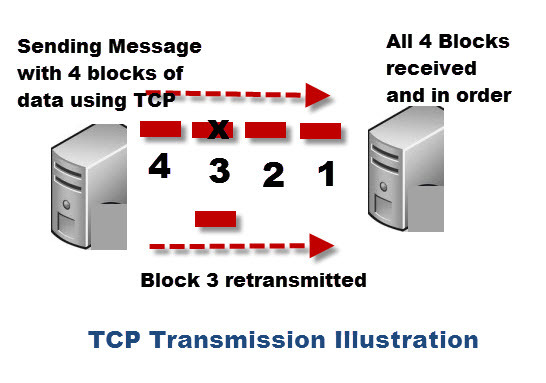 TCP is a connection orientated protocol and provides reliable message transfer. 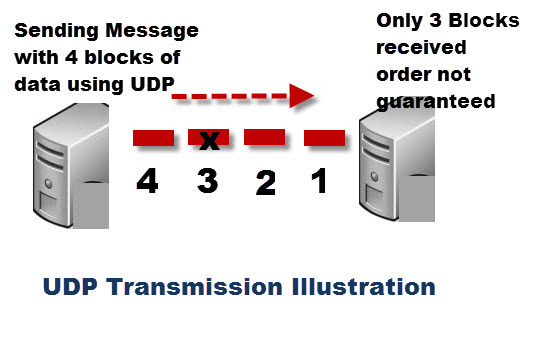 UDP is a connection less protocol and does not guarantee message delivery. 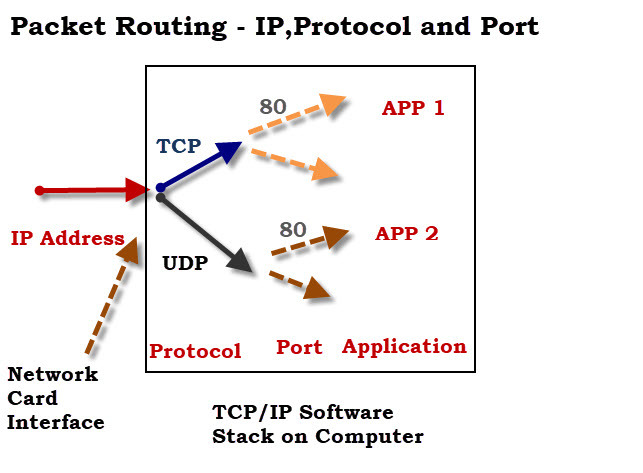 The choice of TCP vs UDP is made by the application developer in accordance with the application connection requirements.